For those looking for an affordable dumpster rental in Akron, there’s only one company to turn to…Dad’s Dumpsters. 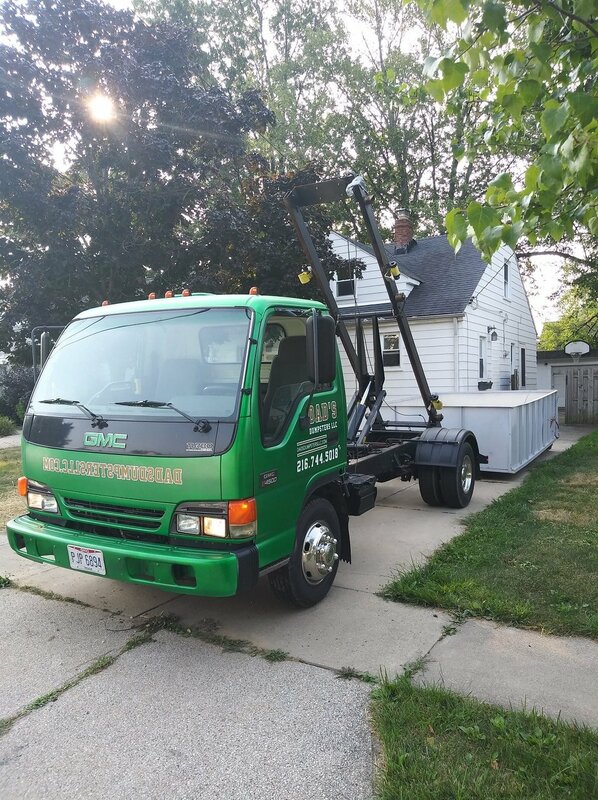 We’ve been providing low cost roll off dumpsters and junk removal to homes and businesses throughout Northeast Ohio for over 3 years. 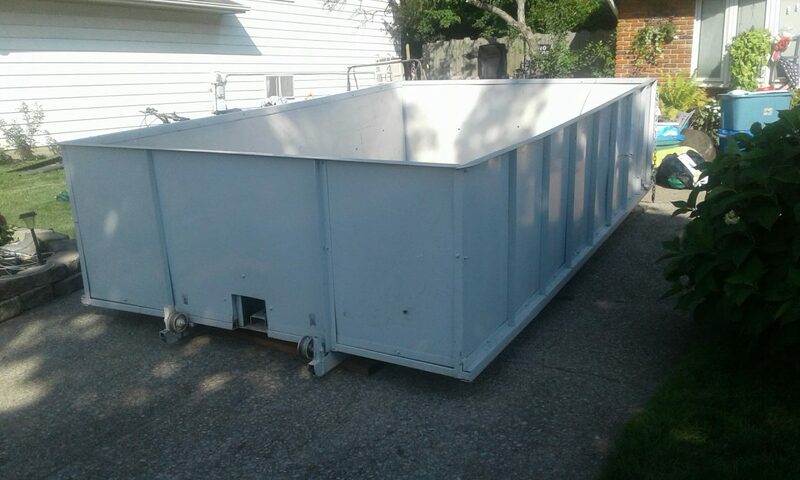 Whether you’re doing some home remodeling in Fairlawn Heights or a building renovation in Chapel Hill, we’ve got you covered with three different roll of dumpster sizes to choose from. We’ll deliver it to your door the very same day, or at a later date…whatever works best for you and your project timeline. You can read more testimonials from our many satisfied customers here. What size dumpsters can I rent in Akron? These dumpsters rentals in Akron are for all household trash. Couches, beds, tv stands, and pretty much all trash you would find inside your home, excluding construction debris. These dumpsters rentals in Akron are for light construction and demolition debris. This includes wood, drywall, flooring, and the like. “I need a roll off dumpster for my store near the Goodyear Tire & Rubber Company’s headquarters. Can I load up a 10 yarder or am I better off with a larger size?” – Sebastian R.
How Do I Get Rid of Things That Are Not Allowed in the Roll Off Dumpster? Hazardous household waste such as chemicals, solvents, cleaners, pesticides, auto fluids and other toxic substances can be taken to the HHW Recycling Center located at 1201 Graham Road in Stow. It’s located at the Rt. 8 Overpass next to the railroad tracks. This is a completely free service for all Summit County residents. 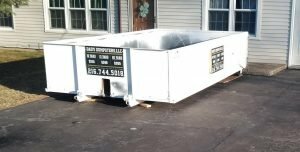 How Do I Get a Dumpster Rental in Akron, Ohio? Ordering your dumpster in the Akron area is quite simple. Just give us a call at 216-744-5018 and let us know if you need it today or at some point in the future. One of our helpful customer service representatives will go through your size options as well as prices to help you choose the ideal roll off dumpster for your project. Dad’s Dumpsters guarantees 100% satisfaction. We strive to not only meet, but far exceed your expectations every time.